Getting closer and closer...with just 36 hours and less than $4,000 to go! 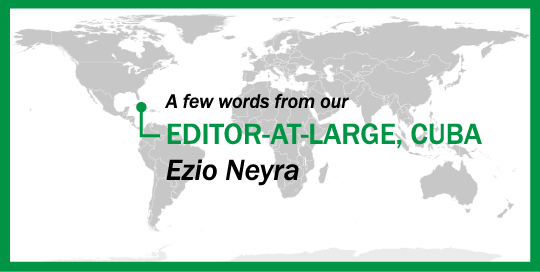 Ezio Neyra (editor-at-large, Cuba): Reina María Rodríguez—whose brilliant work was featured in our April 2011 issue—is a Cuban poet, narrator and editor who, although well known and recognized within Cuban (literary) territory, is only just beginning to gain an international audience. Thanks in part to receiving the Premio Iberoamericano de Poesía Pablo Neruda—one of the most important literary prizes in the Spanish language—as well as to the exposure afforded by Asymptote‘s own international reach, Rodríguez’s sensitivity, which frequently focuses on the Centro Habana area where she lives, is now reaching readers all around the world.